Ahmedabad, the financial centre of Gujarat, sees a huge influx of people migrating to the city every year which ensures a continuous demand for new homes. Not just homes for sale, but those for rent are in great demand, too. “There’s always a high demand for rented accommodations. People move to the city as a result of shifting of job location or for career opportunities. Moreover, owing to good healthcare facilities, there are also people coming to the city for treatment of their illness. Even Non-Resident Indians (NRIs) seek temporary accommodations when they come here, say for a period of 6 months or one year,” says Ashapuri Real Estate Owner Rupa Patel. Known for the Sardar Patel Cricket Stadium, Motera is becoming a sought-after hub for rented homes, too. The locality is about eight kilometres from Gota located strategically along the Sarkhej-Gandhinagar Highway (SG Highway). There are over 300 properties on offer in these two areas, according to the listings on Makaan.com. Monthly rental start from around Rs 10,000 for a 1BHK unit and go up to Rs 25,000 for a 3BHK house. Presence of quality social amenities, international airport eight kilometres away as well as thriving industries are the major growth drivers for this locality. Moreover, Motera is linked via the six-lane Visat-Gandhinagar Highway. Satellite is linked to prominent localities of the city, including Bopal, Thaltej, Gota and Sola, through the SG highway. Located 16 kilometres from the international airport, Satellite has efficient public transportation, too. Known to be one of the posh areas, Satellite has many newly constructed gated communities. There are over 1,700 apartments available on rent which are priced around Rs 12,000 per month for 1BHK house. A 2BHK unfurnished apartment is available for Rs 14,000 per month while the prices go upto Rs 40,000 per month for a furnished option. The locality is less than two kilometres from Bodakdev and Vastrapur where reputed academic institutions are located. Students can find ample options depending upon their group size and budget preferences. Bopal and South Bopal are two localities preferred by homebuyers for their affordable housing and well-developed social infrastructure including popular educational institutions, hospitals and schools. With important landmarks, south Bopal has seen rapid infrastructural growth in recent years. The area offers a wide range of options for renters with over 2,600 units in Bopal and around 600 units in South Bopal. Apartments of 2BHK and 3BHK are mostly available in South Bopal whereas Bopal also has 1BHK homes available in the prices range of Rs 12,500-17,000 per month. The rates in South Bopal start at Rs 20,000 per month for 2BHK and go up to Rs 60,000 for a furnished 3BHK home. Commercial hubs in the neighbourhood make Prahlad Nagar an ideal location for working professionals. Speaking about the area’s rental demand, Patel says “Prahlad Nagar, along with Satellite, SG Highway and South Bopal is seeing emergence of high-end gated projects. 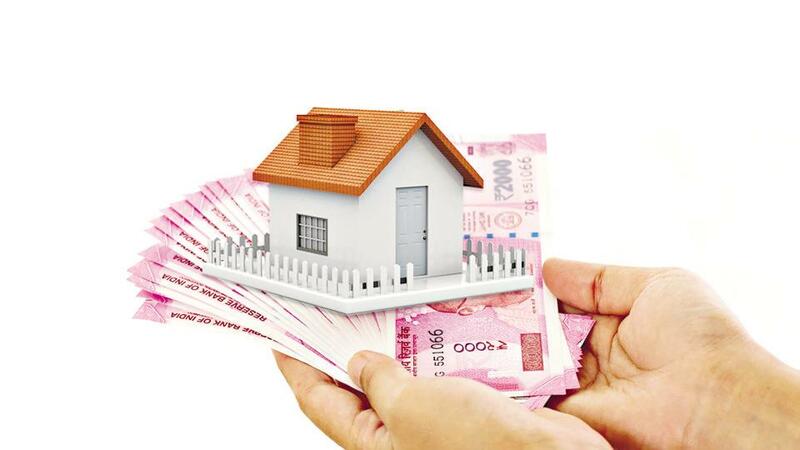 A fully-furnished house would cost a renter about Rs 50,000-60,000 per month on an average. Starting from Rs 15,000 per month for a standard 1BHK apartment, the price goes up to Rs 70,000 per month for spacious, well-appointed residences. One can find ultra-luxurious homes in such as projects with all lifestyle amenities. A family of 6-7 members would prefer a 3BHK house. On the other hand, compact 1BHK or 2BHK house becomes the ideal choice for a single person or for a family comprising of a husband, wife and a kid.” There are over 2,200 apartments available on rent. The locality is an attraction for homebuyers owing to budget-friendly homes. Moreover, the Nirma University in the neighbourhood and availability of basic infrastructure make this a comfortable locality for families. There are over 130 rented properties listed on Makaan.com. The prices are comparatively cheaper than other localities, starting at Rs 8,000 per month for a compact 1BHK or 2BHK house and reach up to Rs 70,000 per month for a fully furnished luxurious residence. Is Relocating For Cheaper Rent A Good Move?